These witches are always ready to set up camp and QUILT! 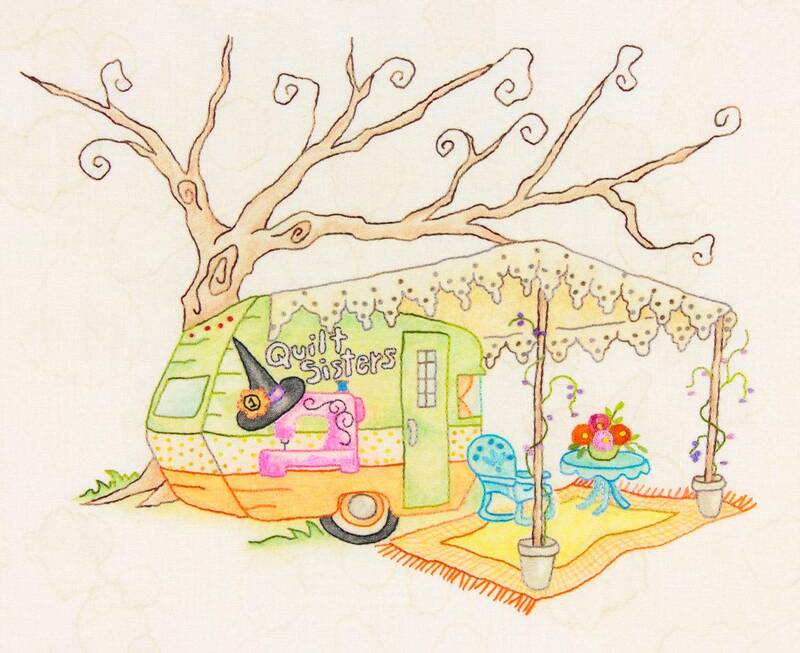 Grizelda and Grimelda Frizzlewick are tending Grizelda’s Black Cauldron Food Truck, but will have plenty of free time planned for sewing! Colored pencil and hand embroidery. Stitchery measures approximately 10 7/8" x 8 1/2"